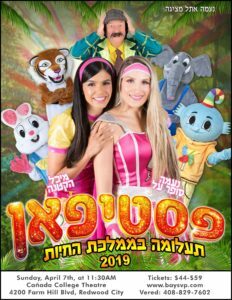 A spectacular show presenting the greatest stars from Israel: Michal Ha’ktana, Naama “Super Hero” and Avi Dor, together with “Fun Fun”, giant dolls, spectacular costumes, accompanied by Israeli dancers from the studio of the choreographer Etty Polishuk. The story: When Na’ama Super Hero is being invited to a festive performance at the zoo, she doesn’t think she will embark on a thrilling and exciting adventure. While visiting the farm and meeting with the elephant, giraffe, tiger and other animals, Na’ama reveals that the animals are in distress, because of the evil farm manager. Together with her best friend, Michal Ha’ktana (the little), she helps to overcome all the difficulties and obstacles. However, there’s a happy end in this colorful and rhythmic musical that proves to us for the thousandth time that animals and humans are the best friends! 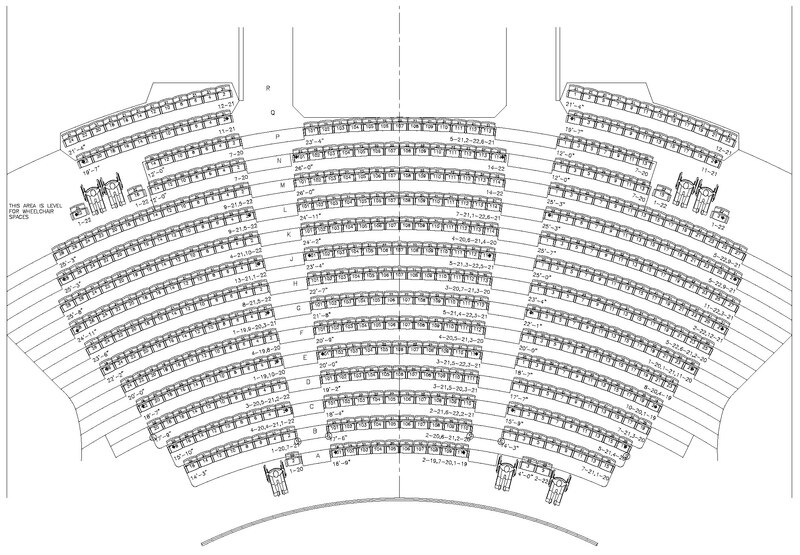 Seats are assigned. 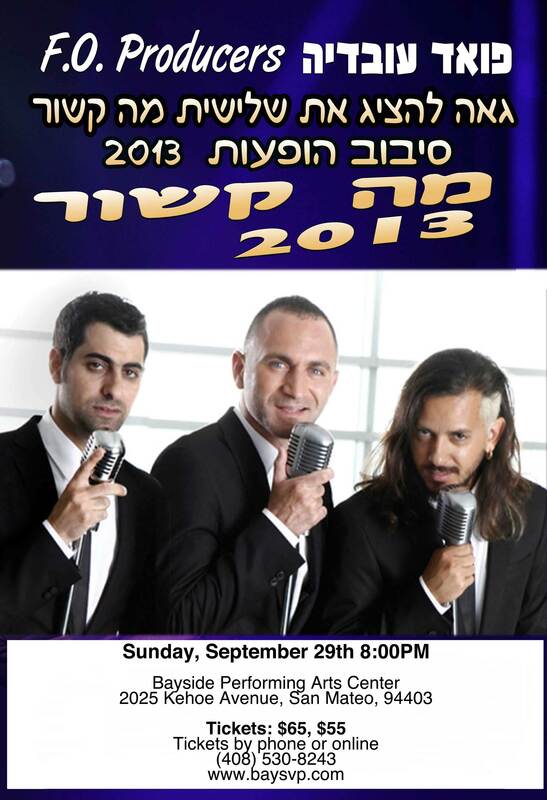 Tickets can be ordered online or by checks/cash by calling 408-829-7602. Tickets are provided according to the order priority.